Clearpath is multifaceted alternative finance company with offices in Belfast, Dublin and Manchester. Since we were founded in 2016, we have delivered more than £30 million of new money to local businesses, perhaps like yours, all across the UK and Ireland. We specialise in property and SME business loans, including secured, unsecured and green energy. Clearpath works with a panel of lenders to provide secured business finance to businesses in the UK and Ireland. If you need secured business finance to expand or develop your business, please fill in the form on this page to send us your details today. And because time is of the essence in business, we'll get the ball rolling quickly. We say "No" to Slow No's, so we'll be back to you in hours, not weeks. Clearpath. The New Way to Borrow for Your Business. GM Marketing is a food industry distributor based in Belfast, Northern Ireland. GM Marketing came to Clearpath with a finance requirement to facilitate an expansion into a new headquarter facility. The Clearpath team delivered so that GM Marketing could go from seeking finance to its new 44,000 sq ft premises - in weeks, rather than years! 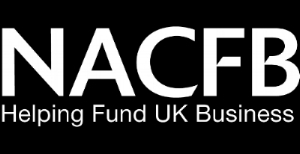 Got an established business with requirement for business finance? Talk to Clearpath Finance today!